Unnoticed Art did a daily realtime-radioshow at Platforms Project in Athens. Installation of the stands (preparations). Opening day, three times a walk through the building. Sunday morning, no visitors yet. and the visitors of the gallery booths talking in English. 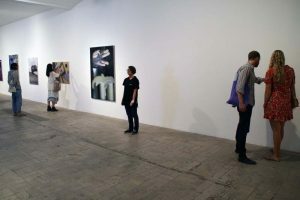 and showing her jacket group show to individual visitors. Metro ride, walk and preparations for a new day at Platforms project. The last 30 minutes of Unnoticed Art at the Platforms Project. And here is our list! to conceive a special performance concept for this occasion. Maureen Bachaus, Jan Barel, Peter Baren, Juan Beladrich, Marc Buchy, Julia Dahee Hong, Ton van Dalen, Jane Domaliç, Caz Egelie, Steve Giasson, Rose Guitian, Royce Hobbs, Kim Hospers, Ton Kraayeveld, Ienke Kastelein, Kees Koomen, Frans van Lent, Lilla Magyari, Andrew McNiven, Heinrich Obst, Nico Parlevliet, Ellen Rodenberg, Heekyung Ryu, Mikio Saito, Maarten Schepers, Paul Shortt, Elia Torrecilla, Yvette Teeuwen & Dominika Czajak, Elizabeth de Vaal, Kitty van der Veer and Marika Vandekraats. 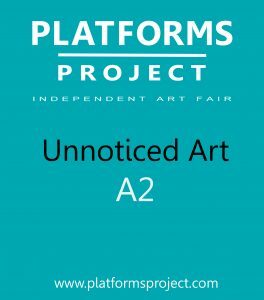 Unnoticed Art will present at Platforms Project, Athens, Greece. These (participatory-) performances will be carried out daily inside or outside the venue building. A schedule will be available at the gallery booth. Unnoticed Art will also make a realtime non-edited radioshow of one hour, daily published on this website. First try-out will be available here May 19, 20:00 (EEST). 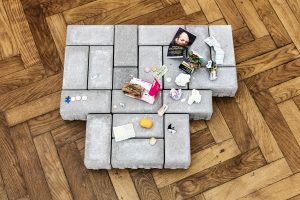 Our staff at Platforms Project will be Malou van Doormaal, Nico Parlevliet and Frans van Lent. Each member of the staff will wear a jacket with a complete group-exhibit hidden on the inside. For private viewings only. Please donate to support us on Platforms Project. Any amount will help us and is highly appreciated. This is not about fashion or design, but an art protest and a flash mob. The Russian Parliament (Duma) is going to pass a new federal law “On Renovation”, that people call “On Deportation”. The bill contradicts the 35th article of the Russian Constitution about the Right of Private Property and basically repeals the Constitution of 1993. According to the bill any house may be pronounced decrepit by the Moscow city authorities and transferred to the domain of the newly formed Renovation Department. From that moment people’s rights of Private Property on homes and apartments no longer apply. Owners and residents have to move out from their homes in 60 days after the notification and into locations provided by the Department. The bill does not leave owners and residents any options, such as choosing the new location, receiving financial compensation for the housing or investments made into homes. This project encourages anyone to photograph their homes and print them on the shirts. An artistic expression for the present-day urban camouflage. 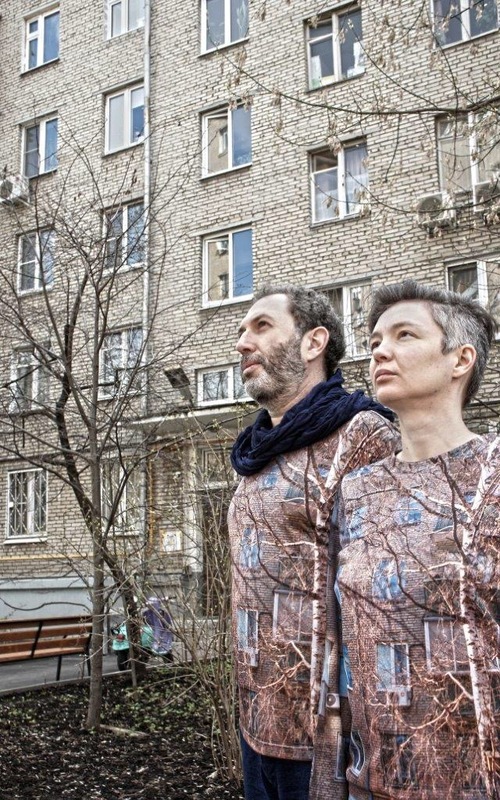 No political slogans, as they can be punishable in today’s Russia, just – wear your houses. We are #undestroyable ! the palm of the museum guard during the opening hours. Performers: Elia Torrecilla, Pepe Romero, Joana Mollà, Nico Parlevliet, Frans van Lent. Thomas Geiger lives and works in Vienna. 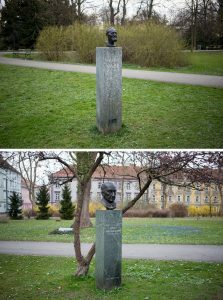 His interdisciplinary work originates from the interaction with the public space. On some occasions the artist appears as observer, in others he takes action himself. 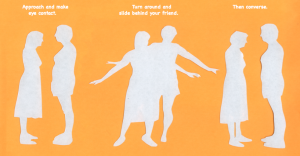 He shifts the perspective on existing situations through minimal activities, uncovering hidden social structures. 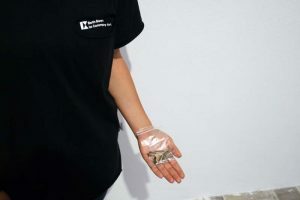 He is co-founder of the Mark Pezinger publishing house for artists’ books, initiator of the Kunsthalle3000 (an institution as intervention in public space) as well as the Festival of Minimal Actions (a festival for ephemeral actions and interventions). Black contradicts, negates itself on every turn. Black is many things – absence of color, combination of all colors, suspension of vision caused by light deprivation, empty nothingness. Black is a color that is not really a color but something else. Its ambiguous simplicity and austerity spawns numerous interpretations. And so on and so forth. What is black in the comic panel? It has numerous functions – it is an indicator of withhold information, sign of a passage of time, aesthetic narrative trick, formal cut-off, a segue, etc. It is almost never just a black panel. But what if all those black panels are take out of their original context? What they will represent? They will depict nothing, except the blackness. 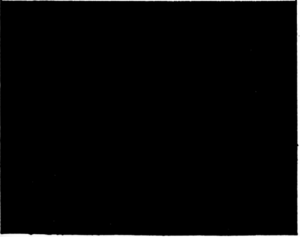 Black panel out of context represent an anomaly with an ambition to represent only what the viewer can think out of it. You can see the nuances of the image – its pixelization due to image format, the way the strokes covered the panel, etc. The panel transforms while being watched. Its blackness disappears and instead something else emerges.